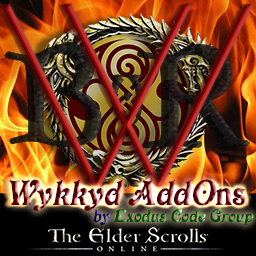 Wykkyd Toolbar is an addon originally programmed as a piece of Wykkyd's Framework. It provides an informational bar with on-screen display of useful, configurable, "tools". •	Fixed: Setting to mode to display soul stones was not being read correctly. Was always displaying empty/full or off. Should now should all options. •	Fixed: The font color for alliance points pre addon 3.2 was not implemented. Font color has returned for AP. 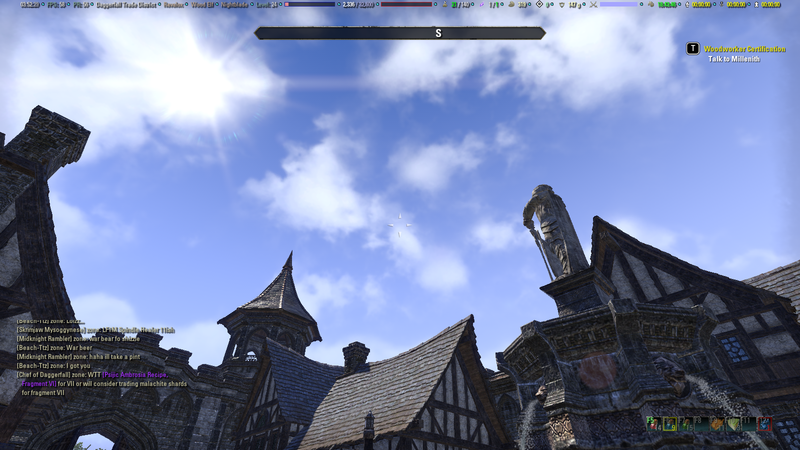 •	Fixed: Several addon settings were being missed when saving or loading addon settings to default. 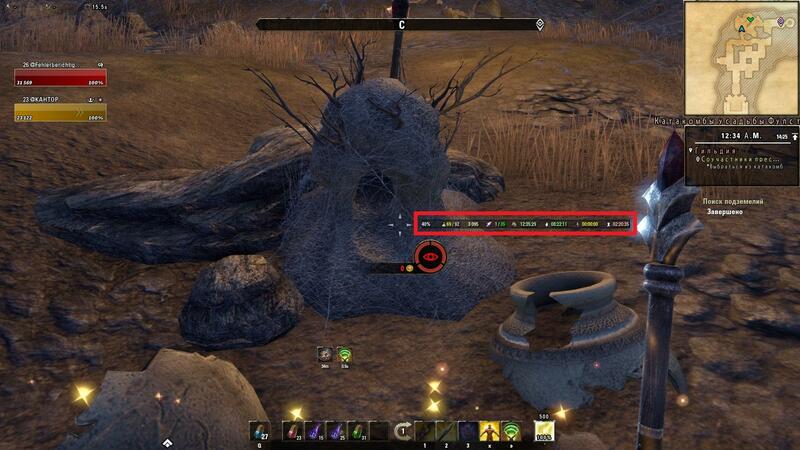 •	Fixed: Tel Var Stone currency was always reporting zero. Call to retrieve currency was missing correct reference for where to look. (Character/Bank). •	Fixed: Setting to turn on/off soul stones was not being picked up. •	Fixed: Setting to turn on/off transmute stone currency was not being picked up. •	Added Crowns, Crown Gems and Tel Var Stones to currencies. •	Reworked setting for showing icon, title or none. Previously there was a setting for icon and title, which suggests you could have both. That was not actually the case. Changed to be a drop-down list of Icon, Title or None. •	Setting icon or title was being controlled on an individual currency level. Changed to be a currency wide setting. •	Reworked setting for “use commas”. Now set as an overall setting for all currency items. •	Alliance Points, Gold, Tel Var Stones and Writs can now be configured to display value on character or stored in bank. •	The settings to enable/disable all currency items has been standardized to use a drop-down menu. Previously some used checkbox, others a list. •	Updated the currency addon settings to use headers and display currencies in alphabetical order. •	Due to several changes in the currency addon settings saved variable version has been incremented. •	All the currency items, except soul stones (which isn’t really a currency) are now using a new single LUA. Previously each currency had an independent file with 90% the same code. •	Fixed the soul stone icon when the character has no soul stones. •	The method to provide a warning color for currencies has been standardized. Prior to the warning limit the value will be normal. From the limit to below maximum is yellow. Maximum is red. •	Fixed bank space metrics when not an ESO plus member. •	Fixed bank space metrics when an ESO plus member. •	Fixed toolbar error when icon for bag/bank space set turned off. •	Added bank space as a new toolbar widget. •	Added setting to automatically hide toolbar when in a dialog. •	Added setting to automatically hide world xp when character is not a vampire or werewolf. •	Fix for showing seconds that was applied to "adaptive research timers with days" implemented on the standard adaptive research timers. •	Updated code to hide horse training timer. No longer toggles main horse timer addon setting. •	Fixed reference in addon to LibAddonMenu for divider items. •	Updated to API Version 100026. •	Fixed adaptive research timers to show seconds when time remaining is less than one minute. •	I'd left a debug statement in the code. 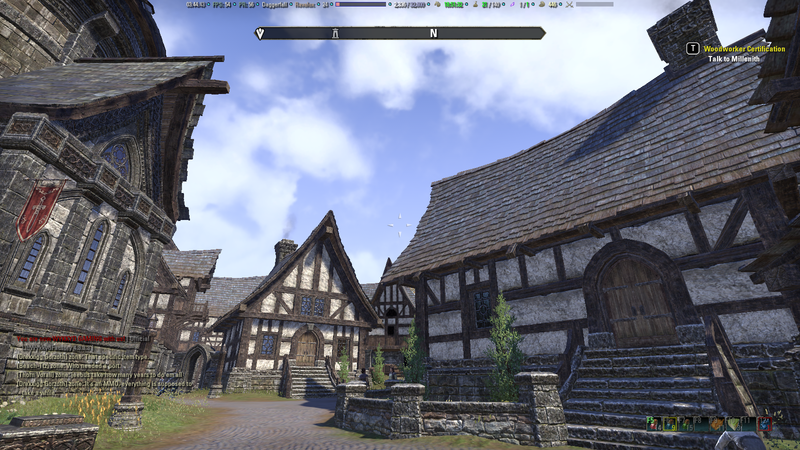 ⦁	Trying to make non-standard scale settings space a bit better, post in forum or PM Lakashi on esoui.com with a screenshot of your bar and settings if there is an issue! * Added Writ Vouchers to toolbar and options. 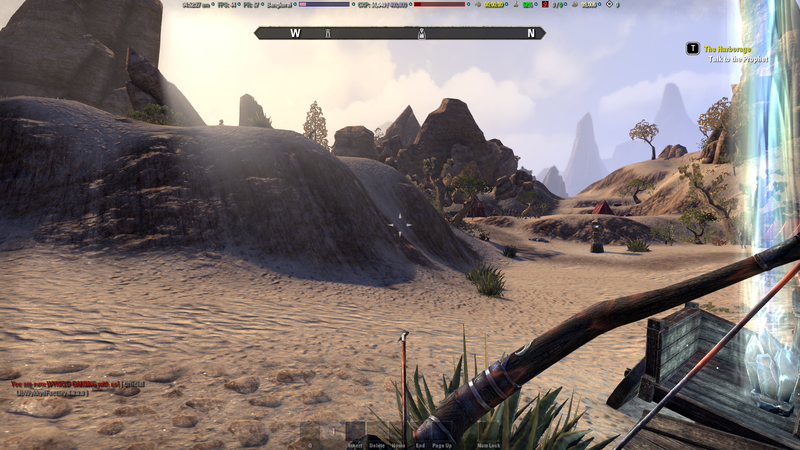 * Added Transmute Crystals to toolbar and options. * Added setting to change all labels to white. * Updated Frames Per Second “Moderate Threshold” to have a maximum value or 144. * Fixed Horse Training toolbar. Will now force control off when completed. * Research timer (and settings) added for jewelry crafting. * Werewolf/Vampire experience code changed to account for GetNumSkillLines returning all skills, not just known skills. *Implemented a request to show text when XP Needed chosen on CP/XP. Also added this to % Needed. * Removed the text for Veteran points from settings menu, now says XP/Champion Points. * Changed default for bag display to Used/Total instead of Used %. * API fixed, Veteran rank functions replaced with CP functions. This feature will be expanded and adjusted shortly. The current incarnation is an interim fix. * API version updated .. incorrectly (i might add). I used a WIP version of toolbar in error when updating the addon. * Disabled "Hide maxed out horse timer" option - will still show 60/60/60 when maxed. Will correct hide timer option in a future release. * Updated supporting documentation to reflect the transition from Wykkyd to Ravalox and Balkoth under the name of Exodus Code Group. That is some kind of magic!!! HOW DOES IT WORK??? Thank you!! For three LONG, LONG DAYS I have been dreeming about it! I have an issue with the toolbar. It is fixed in the center of the screen and none of the options move it up or down, not single one. It moves a tiny bit to the left or to the right, but I need it UP, out of the cursor/aim, as it is in the screenshots given on this site. Screen resolution: 2560x1440. Fullscreen and Window modes bring no changes. Last edited by PhnxZ : 04/08/19 at 06:52 AM. I'll try and have a look at this, but that feature is completely handled by a library that's included in the add-on, rather than the add-on itself. It's over 7000 lines of crazy code that I've been doing my best to avoid. I love this addon but I have never been able to use a character to set a System Default so that all my characters have the same setup. I set up everything the way I want it for all, then save to System Default. When I log into a different character and Load the System Default, nothing changes. I am not sure what I am doing wrong. I can use the Mimic to load a setup from another Character, but for some reason I am not getting a new System Default saved that all can use. if you want to have the same settings on all the characters you have to write in the mimic the name of the character where you already set it and you have to do it on every character otherwise you automatically set default but when you change the setting of the addon used for copying the settings will change in all characters, the solution is to delete the name of the character from the mimic, the copied settings will only be left and I will not continue copying the settings from the character he used to set up for the characters. Last edited by baysailor : 04/07/19 at 12:45 PM. It would be nice, that you if you had chosen to not have a separator between each information, then the gap between each of them would be cut in half or something like that. I thought I could "compress" the bar a bit (got a lot of info on it) without a separator, but now there's just a wide space instead of a separator between each information. would it be about solving the lack of space but wouldn't it then overreact? Not sure what you mean by "overreact". But right now there's an empty space between each information (probably as wide as an icon). This is where the separator normally goes. I'm already using icons to the left of each information, so they already act as a sort of separator. Making the space where the separator normally goes about half as wide, would just make the whole bar shorter. I am now using 3.2.4.0, but the error occurred with the version before you patched something with the soulgems etc. The bar was full size and I think as the addons default state is, but after applying system default there was no change to the bar at all. Same seems to be the case now, I just tested and added the clock, which I normally don't use, changed the positioning and the scaling of the bar, hit use system default and just before reloadUI went off the clock was removed from the bar, but then after the loadscreen the bar was in the same state as to which I had changed it to test, which should not be my system default in any case. After doing this even mimic could not revert the settings to the ones I use. Anyway, I got it working for me, I have it set up again and it's just fine and I like having the info in the bar and wouldn't want to miss it. Thank you for your work! I guess there was just no system default. After saving to system default and loading on a different character the error did not occur again, but neither the settings I just saved were loaded. Could you confirm which addon version you're running? And which settings you changed and didn't transfer over? Thanks. Last edited by TaxTalis : 04/07/19 at 02:57 AM. I really like the new features of the toolbar. You are doing a great job!!! Can i ask for one more? I would love if not only the time but also the date could be put on the toolbar. Soul gems and AP text color fixed in the release I just uploaded. Thanks. Yeah, I have the ability to re-order the items on my personal wish list as well. In my head it could be pretty complicated. I wonder if I could potentially make a simply but dirty method. I'll have a think on it. Don't bother too much with the reorder thing, that's just for more convenience, not vital. When you have the currency set to "Title" and you are seeing the extra space does /reloadui fix the spacing issue? With all the extra items that have been added to the toolbar running out of space was a concern. I think adding a second bar is likely to be complex than simple "add a bar". As you've discovered, the existing code doesn't consider available space. Would need to resolve that. Once you have a second bar, I think users will expect they can assign widgets to a specific bar, rather than most items popping up on bar 1, with 1-2 overflows showing on a second bar. Not saying that's not a good idea, but would probably not something I can just implement quickly.